Theosis without Christosis in Theophilus of Antioch? Continuing my series on Theophilus of Antioch and his work To Autolycus (Ad Autolycum), I am addressing theosis or deification in his work. (Previous posts address Christianity in antiquity, the parting of the ways, Trinity without Christology, and Theosis in Theophilus.) If you are lost by my terminology of theosis, see my primer on theosis and theosis for dummies. As part of his apologetic for Christianity, Theophilus establishes Christianity as deriving from the most ancient part of antiquity–creation itself. In this discussion of creation, he described the telos of humanity arising from their original creation, that they should become immortal like God. Indeed, they would be called “gods” because they share in this immortal attribute, though they clearly remain distinct in nature and identity from God. This shares the basic framework that almost all later writers about theosis or deification share. Placing this discussion of becoming gods in terms of creation fits his rhetorical purpose, but it also frames the nature of continuity in almost all discussions of theosis, that is, the creator of the world is also its savior. Thus, others often place their discussion of deification in terms of creation. Theophilus is unique among other patristic writers because he does not use Psalm 82:6 to ground his reading. However, the outcome is exactly the same since when Irenaeus and others discuss Psalm 82:6, they always narrate it according to mortality at the fall and the hope of immortality. However, Irenaeus also places this within his larger salvation-historical narrative in which Christ is the one through the Spirit who restores immortality to humanity. I explore the importance of theosis for helping capture the “story of the Bible” in an essay that came out earlier this year. Thus, what is unique about Theophilus is not that he speaks of human identity and salvation in terms of becoming gods, nor that he places this deification discussion in terms of creation and new creation. No, what is unique is that he describes resurrection and immortality in terms of God alone and not through Christ’s death and resurrection. 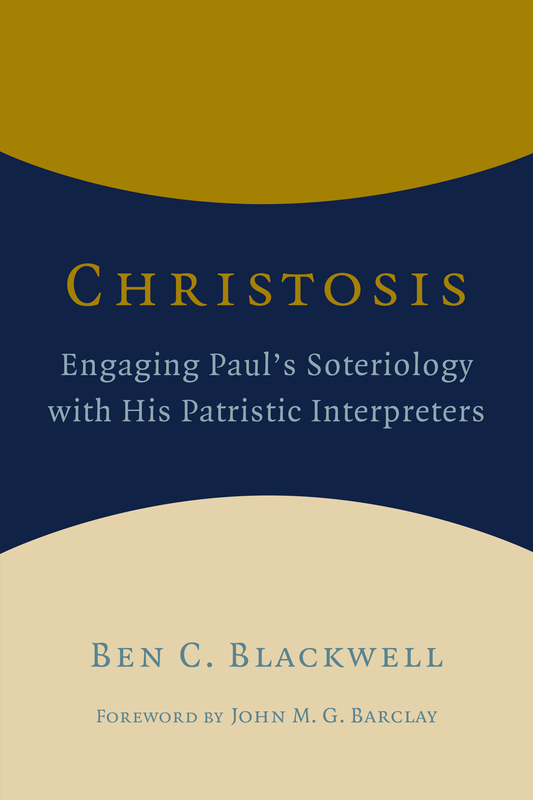 In my work on Paul and theosis, I titled the book Christosis because I argued that Paul’s discussion of soteriology could be described as theosis, but it was explicitly framed in terms of embodying the death and life of Christ. Note: By Christosis, I expressly do not mean: 1) this is a Christological-only soteriology because being transformed into the image of Christ is almost always in the context of the Spirit’s work (and being a “christ” entails being anointed by the Spirit). 2) Christosis should be distinct from theosis, especially not in parallel to the Christotokos-Theotokos distinction. 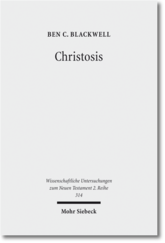 Christosis is intended to point to a Pauline emphasis within the wider framework of theosis. In distinction to Paul, Irenaeus, and the many other patristic writers who wrestle so distinctly with the Christ-event and its relation to theology, Theophilus has a “Christianity without Christ” as I have explored in an earlier post. He has a Logos-theology and indeed an distinctly Trinitarian discussion of God, but at least here when he describes the telos of humanity in terms of divine immortality, he does it in a generically God way, thus my phrase theosis without christosis. Continuing my series on Theophilus of Antioch and his work To Autolycus (Ad Autolycum), I am addressing theosis or deification in his work. 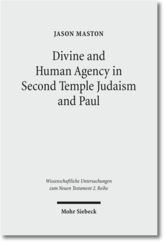 (Previous posts address Christianity in antiquity, the parting of the ways, and Trinity without Christology.) If you are lost by my terminology of theosis, see my primer on theosis and theosis for dummies. In his defense of Christianity, Theophilus begins his work by establishing the identity of God (1.1-7). He is immortal, invisible, uncreated, and immutable. He is the maker of the universe, which was created ex nihilo. Even though we cannot see him because he is beyond the created order, we can know him through creation if we have a pure heart for these pure at heart can know God. Thus he concludes: “If you know these things, O man, and live in purity, holiness, and righteousness, you can see God” (1.7). He later continues: “When you put off what is mortal and put on impershability, then you will rightly see God. For God raises up your flesh immortal with your soul; after becoming immortal you will then see the Immortal, if you believe in him now” (1.7). This draws from the ancient conception that you had to become like something to know it (“like is the friend of like” as described in Plato’s works). As we become like God in holiness and moral incorruption, then we can know God. Importantly, Theophilus then turns immediately to somatic incorruption as the hope for those who believe and know God (1.8). The basic idea is that even though humanity is fundamentally distinct from God because of creation ex nihilo, humanity can truly be in relationship with God and share in God’s attributes, namely incorruptability. Note: We see this exact interchange between knowing God and overcoming death through immortality in Athanasius’ On the Incarnation. Note there how the first 10 chapters or so are about experiencing immortality and overcoming mortality through Christ’s incarnation, death and resurrection. Then, the next 10 chapter or so are about knowing God, but without a hint of any transition. Athanasius like many ancients saw a fundamental coherence between knowing God and being like him. Theophilus’ discussion of resurrection early in the treatise points to the importance of immortality within his basic anthropology and soteriology. We see this played out in much more detail in his discussion of creation, and this is where his discussion of deification comes into play. One of his fundamental arguments about anthropology is that humanity was not created naturally immortal, but God had the intention that humanity would be immortal (2.19, 24, 27). We might call this conditional immortality, and Irenaeus also reflects a similar perspective (AH 38-39). For if God had made him immortal from the beginning, he would have made him God. … God therefore made him neither immortal nor mortal but, as we have said before [2.24], capable of both. If he were to turn to the life of immortality by keeping the commandment of God, he would win immortality as a reward from him and would become a god…” (2.27). While humans chose disobedience, Theophilus makes clear that humans can attain resurrection and imperishability, which in the flow of the argument would make them implicitly gods. Of course, this is a metaphorical ascription. Given the Creator-creature distinction that undergirds this discussion (from Book 1), I would describe this as example of “attributive deification” using the taxonomy that I developed in my book Christosis. Humans share through participation in the attributes of divinity, and so they become like God while remaining distinct in their essence or nature. Though it is a metaphor to be called “gods,” it entails an ontological transformation, not in terms of the change their nature to a new nature (or species), but their mode of being changes. Here the primary emphasis is on participation in divine immortality, but as we saw above their is a distinct interconnection between these different forms of incorruption–noetic, moral, and somatic. Theophilus gives us an early witness on deification and theosis and he grounds this doctrine of theosis in the Bible. This basis framework is not too unique, given that Irenaeus, follows a similar pattern. However, part of the contextualization is different, and so I’ll continue with a separate post on that. A student of mine recently did a masters thesis related to deification (or theosis) in Theophilus of Antioch in his Ad Autolycum (c. 180 AD). It’s been a while since I read him, so I thought I’d do a few posts about him. It’s not a long read. 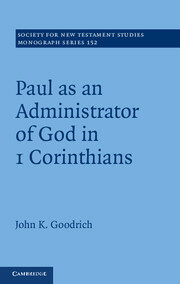 Unfortunately Grant’s translation with facing English and Greek pages is out of print, so the ANF version is likely your best bet for an accessible translation. As an apology this work to Autolycus contains both a critique of contemporary views and a portrayal and defense of his perspective. His critique is directed at the cult and the myths related to Greco-Roman gods. In that, he follows similar Jewish apologetics that critique the immoral, inconsistent, and contradictory perspectives of Greco-Roman literature, as found, for instance, in Hesiod and Homer in distinction to the philosophers. (A great exposition of this is found in Barclay’s Pauline Churches in his essay: “Snarling Sweetly: A Study of Josephus on Idolatry”). He also addresses specific charges against Christianity, like cannibalism (3.15) by denouncing it but also by throwing the charge back against the stories of the gods (3.5, 15). As he portrays and defends his perspective, Theophilus argues for the unity and consistency of the biblical God, and Book 1 is explores a variety of topics around God’s attributes in contrast to other portrayals of the gods. He also especially notes the hope of resurrection (1.8, 13). A central point that he returns to regularly is that his faith is not a recent invention (reflecting the idea that older/ancient things are the more true and reliable), and thus he grounds his Christian faith in the antiquity of creation (Book 2, where he exposits the early chapters of Genesis) and world history (Book 3). 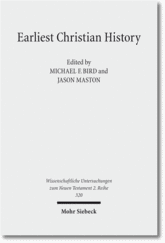 He presents an early and interesting Christian engagement with the Bible and apologetics in the ancient Mediterranean world. For an accessible and informative introduction to Theophilus, I commend this essay: Rick Rogers, “Theophilus of Antioch,” Expository Times 120.5 (2009): 214–224. For all the posts in the series, see Christianity in antiquity, the parting of the ways, Christology and Trinitarianism.